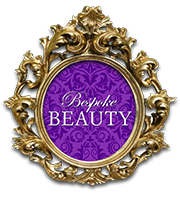 With over 30 years experience, we at Bespoke Beauty enjoy this exciting and evolving time in our industry. After opening my own salon in 2005 and winning a best new comer award in 2006, our "oasis of calm" has grown in its wish to help clients discover their beauty within. Kirstin-Anne and Rachel-Jayne, my daughters joined me in 2010 and 2014 respectively creating a fabulous family business. We compliment and motivate each other, respecting our individual strengths and visions. We believe beauty is and should be bespoke. Every client is individual and treatments are "tweaked" to suit not just their skin type but their mood and well being. Here at Bespoke Beauty we offer restful treatment rooms; one allowing indulging spa wraps, body and face treatments, where clients can escape and unwind for between one to four hours. Our impressive make-up station has seen transformations from brides, party goers and fancy dress fanatics under the creative hands of Kirstin-Anne. While Rachel-Jayne our product consultant is always on hand in our well stocked toiletries shop where she can give advice and recommendations on all our treatment creams, toiletries, gifts and accessories. A warm, friendly welcome is extended to everyone. Sit back and relax as we take care of you with our full range of face and body treatments . Enjoy our natural skincare regime in the comfort of our beautiful spa. Try our modern gel nail overlays and extensions. Long lasting and simply beautiful. 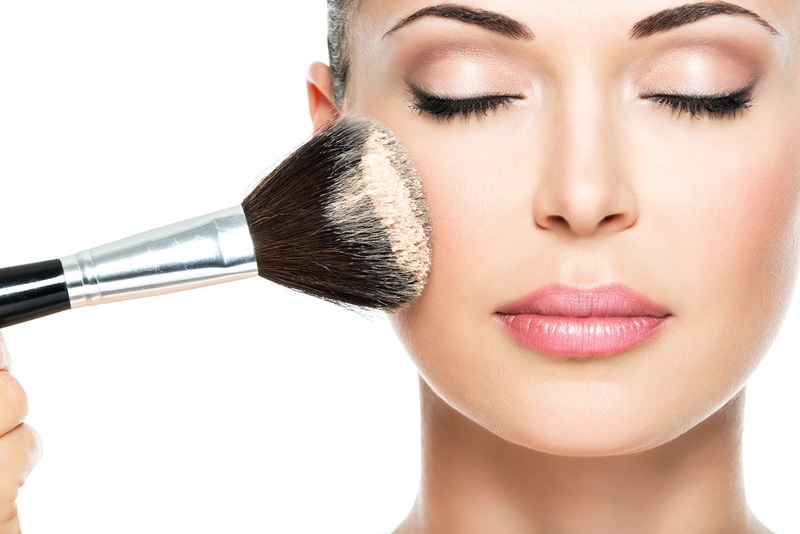 Get ready for your special day or event with our in house make up artist offering the very latest makeup styles. Enjoy a calm relaxing treatment using oils chosen for your individual needs. Promotes a sense of well being. As we care that everyone gets their individual needs met, our facial tariff although comprehensive, is by no means complete in its written form. Every facial can be improvised to achieve the most amazing results. We offer an effective half hour facial for clients in a rush or as an 'add on' to a massage. Our Discovery facial allows us to get to know the clients skin needs and allows us to introduce new products and new homecare routines to clients. It is our opinion -gained over our 30 years experience - that hydration is the best and most effective treatment to keep the skin soft, calm and prevent wrinkles and so our collagen facial is a must! Our facial peel available in 10%, 15% and 20% strengths affords a smooth, clear complexion with noticeable wrinkle reduction when used as a course of 4. Our aromatic, radiance and firming facials all give the skin the active ingredients required for the best results whatever the occasion or for maintaining excellent skin condition. Our facial tariff is fluid and as we believe in bespoke treatments, we tweak and combine elements from different facials to achieve optimum results. Relaxation is our aim and massage is an amazing way of easing away the troubles of the day. We have created an oasis of calm, especially for you. In our tranquil rooms you can switch off and forget where you are; float away to that space where everything is at peace. Enjoy a half hour back massage to ease sore aching backs and maintain it once a month to get the best benefits. One hour Swedish massage will not only relax but regenerate you as your knots are kneaded and your muscles eased. Aromatherapy will treat your needs on the day - individual oils picked to suit your mood, lifestyle and well being. Our very own 3 x 20 massage is a triumph for relaxation. Spending 20 minutes on each of the 3 chosen areas from back, abdomen, feet or head. This will work on areas of emotional tension creating a deeper level of relaxation. Indian Head massage is a powerful treatment affording relief from stress and loosening the tension of the upper body. Reflexology helps restore balance to the body improving circulation; a fabulous treatment to help maintain good health. Pregnancy massage is available at Bespoke Beauty after 12 weeks following a consultation with your therapist. Our treatments are performed with total care and our aim is for you to discover your beauty within. Whether you have an evening ball to attend, fancy dress party, family or simply just want to look and feel great, we at Bespoke Beauty can help. In just under one hour our in house make up artist can create a stunning look, glamorous or natural, to compliment your outfit. Using luxury brands such as Lord & Berry, Illamasqua and Anastasia Beverly Hills, she will contour, blend and highlight to give you a flawless finish for all ages and occasions. We also offer one to one masterclasses using your own products to allow you to recreate your favourite look time and again with confidence. At Bespoke Beauty we just love fancy dress, Halloween and transforming you into your favourite character. Keep up to date with our make overs and looks over on our Facebook page. Our goal is to have you leaving looking as beautiful as you are inside. Want hard wearing nails that will withstand day to day tasks without chipping, smudging and most importantly - without damaging your own natural nails? Our therapist has been expertly trained by CalGel to shape and polish beautiful looking nails whilst providing the utmost care and preservation of the natural nail. Nails will be filed and shaped, cuticles pushed back and preened with the removal of any unsightly dead skin. A gel colour of the clients choosing will be selected from our array of popular colours then neatly and thinly applied. The client will be given advice on how to best care for these nails and strongly advised on correct removal methods. Nail extensions are also available for anyone looking to add length to perfect their manicure. Bespoke Beauty also believe in the classics and so also offer classic luxury manicure and pedicures which involve all nail treatments including nail filing and cuticle work, hand or foot scrubs removed with hot mitts and relaxingly massaged with beautifully scented lotions before the nails are painted with Orly nail polish. We offer half price manicure and pedicures every Wednesday.